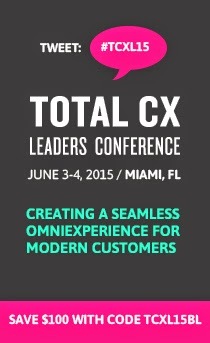 Nowadays, organizations are using technology to create a personalized customer experience (CX). But, they must remember that when it comes to collecting customer information, it isn’t just business, it’s personal. These days, customers are becoming much more comfortable with providing personal information in exchange for an improved CX. 49 percent would allow retailers to collect personal shopping data in exchange for a more personalized experience. 54 percent are comfortable with retailers storing purchase history in exchange for increased personalized value. 65 percent are comfortable receiving mobile retail advice based on current location as detected through their mobile device. When it comes to providing personal information, there is an increased level of trust between the customer and the organization. In the report, 69 percent of customers said they would be willing to give their bank personal information if it meant they could receive more personalized services, but 57 percent said they don’t want their bank to share any of the personal information. Call the Customer by Name – Saying a person’s name is one of the best things a brand can do to improve the CX. While incorporating a name into the CX may seem simple, you must use correct spelling, pronunciation and never ask the customer to repeat it. Deliver Custom Content - If you know what your customers are searching for, give it to them. Whether its product or service related content based on past or recent purchases, or customer service content based on frequently asked questions, personalized content is proven to improve the CX. Ask the Right Questions - Increase the completion rate of customer surveys, as well as customer satisfaction, by personalizing feedback requests by tailoring the questions. Consumers lose motivation for completing surveys with numerous questions, when only some of the questions matter to them. Are People Taking Your Customer Satisfaction Surveys Seriously?